In readiness for our wildcamping weekend in Wales I needed a new pack (that’s the justification I used to the wife!). 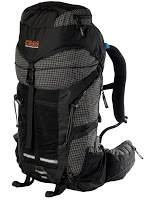 I’d toyed with the idea of the Osprey Exos 46 and Talon 44, but kept coming back to the OMM The Villain 45+10 MSC. OMM gear always gets good reviews. I like OMM’s ethos and the fact that their packs are well designed, reasonably light, British(!) and are well thought out with plenty of scope for tinkering/tailoring to your needs (you need to read the extensive product manual on the OMM web-site to appreciate this). Oh, and it’s not orange, unlike my Michelle’s Talon 33 – a recent acquisition – though you can get an orange version if you wish! Before plumping for The Villain I read with intrigue the thread on the LFTO forum about wildcamping pack sizes – a kind of inverse ‘mines bigger than yours’ about who could get a weekends gear into a washbag! With a smaller tent (TN Laser Comp?) and sleeping bag (Pipedream 400?) I’m sure I could comfortably get down to 32l, but 45l fits the bill for me, suits a wider range of activity (winter days/climbs etc.) and plugs a gap in my sack heirarchy. I could have gone lighter, Marcus pointing me towards GoLite and ULA, but practicality, ruggedness and comfort need to be balanced against absolute weight. The Villain is a fair bit lighter than my current 32l sack, without me stripping anything. Coincidentally Martin over at http://summitandvalley.blogspot.com/ has just ordered an OMM Mountain Mover, when I was convinced his next pack would be an Exos. There must be sOMMthing in the air! I ordered mine fom Backpackinglight and received excellent, personal service as has been commented by many before. Placed the order yesterday afternoon and its here today, complete with a wee box of Mini-eggs and a hand-written note! My first, and I’m sure not the last, experience of the fantastic service from Bob and Rose. Now I’m off to un-pack and play with my sack – I must admit I’m a little worried at how small it looks……!!! I must admit that Orange ain’t me. OMM is fab. Saying that Osprey seem to have hit gold of late with there packs. I had bad memories of using a pack from them and durability on a backpacking trip matters to me. Hence the OMM choice. Good decision Nigel. 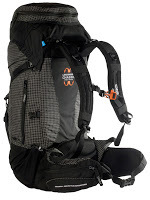 I might just give Osprey a second chance with a new day pack. See I got a mention on this post (along with the true gent – Martin Rye) – which is nice. As promissed but not delivered until now, I have sent a link to my kit list but it’s in a response your comment on my blog. Sorry its taken so long but Blogger hates tables so naturally really really hates spreadsheets! I know its more arduous this way but wasn’t sure it justified a separate post. Happy to send you my template if you want it? When is your weekend in Wales – it must be imminent? Cheers, Marcus. I’ll take a look at the link. We’re off up on the 17th April so not long – I have a kind of route in my head which I need to firm up, but will involve the Carneddeau and the Glyders. Just about to plunge for a PHD Minim 300 sleeping bag in their sale – just hope it arrives in time!